The laboratory-grown placenta model could help prevent pregnancy loss. 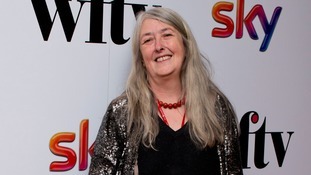 Cambridge classicist Mary Beard said it was a "smashing honour" to be made a dame in the Queen's Birthday honours. The University of Cambridge professor is well-known for her online presence and regular appearances on classics and discussion panel programmes on the BBC, as well as contributing to Radio 4 series A Point Of View. Yet she expects her friends and family to throw around a few jokes. "It is of course a smashing honour. I feel especially pleased that someone working on the ancient classical world gets honoured in this way. New figures show some of the university's colleges admitted no British black students, or just one a year, over a five-year period. Books once considered unimportant and stored in a tower at Cambridge University are to go on display. The sixth E-Luminate Cambridge Festival has begun. Some of Europe's top artists have helped transform city landmarks - including Senate House and Gonville and Caius College - into pieces of art. Professor Paul Ramchandani has been taken on at the University of Cambridge to "examine the importance of play in education". Artefacts from India's indigenous communities will go on show at Cambridge University for the first time. Among the objects on display to the public, are pieces from the Taj Mahal, a head-hunters skull and a snake-charmer's flute. The exhibition, Another India, celebrates the 70th anniversary of India's independence from Britain. This is an exhibition about the India – or the many Indias – that most people in the UK don’t know. We didn’t want to do a show about Bollywood, saris and curry, but instead highlight a massive body of marginalised people – numbering nearly twice the population of the UK – who to a great extent aren’t seen as having culture, heritage and history of their own.